Jasmine Absolute (Egypt) - Ultra International B.V.Ultra International B.V.
Jasmine Absolute Egypt Jasminum grandiflorum L.
Jasmine (Jasminum grandiflorum) is perhaps one of the foremost original, luxurious, staple ingredients used in history and still in today’s fragrance markets. So much so that the centre of the world perfumery industry, Grasse, France, adopted the Jasmine flower as their own symbol of the town and every August hold a ‘Jasmine Festival’ during which locals and visitors scatter jasmine water and flowers over celebrating crowds and the town comes alive with music and other events. It is not only used in fine fragrance but also in aromatherapy for treating muscular complaints and skin related issues – especially for those prone to suffering with sensitive skin allergies. It is also known to be effective as an ingredient for relieving stress like symptoms. 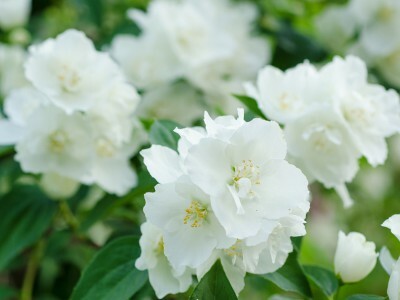 Jasmine originates from India but is also cultivated in a number of other countries across southern Europe and North Africa, including that of Egypt. The flower picking season starts around June in Egypt and can last several months. The petals are only hand collected before sunrise to ensure the sunlight does not dry the oil contained within the petals once they are picked. It can take around 1 metric ton (MT) of flowers to product around 2 kilo of oil! That’s a lot of flowers!! Jasmine absolute experienced an increase in cost this season, due to the rise in the price of petroleum products, hexane, water, electricity, and even salaries of workers.